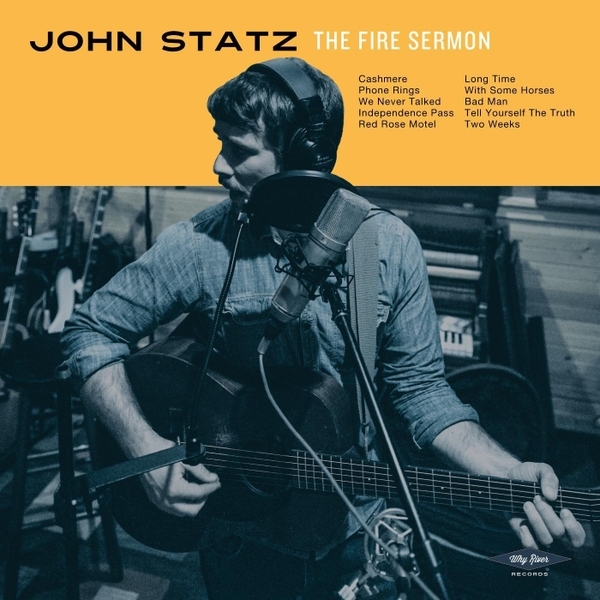 Really pleased to announce that John Statz’s new album, The Fire Sermon, is now available worldwide. Funded by a Kickstarter campaign, it follows his 2015 release, Tulsa, which was lovingly reviewed here. The two albums are wonderfully complementary. Strong on narrative, big on melody, they make you feel slightly wistful at the same time as they get your toes a-tapping. The vistas are huge. There are plenty of references to his beloved Colorado. But the stories are always local. People look back at the past, reflecting on what happened, and without necessarily being able to explain why. The opening track, ‘Cashmere’, sets the scene, with the full band playing impeccably. A particular favourite, though, is ‘With Some Horses’, which could have been written by none other than Willy Vlautin. There’s also a cover of a Caitlin Harnett song, ‘Bad Man’, which provides a really nice take on the original. Disappointed to have missed him by only a day in both Bray and Nottingham on his recent European tour, but hoping to catch up next time and looking forward to more releases. The Fire Sermon is highly recommended. Posted in John Statz and tagged as John Statz, Music, Review.